Can't review the speed or latency beacause i can't see difference between two similar rams, i have 24Go of 2400MHz( on xmp2.0) c16 and its work very well. But RGB is reaaaly impressive, you can do every effect you want and light effect look really good, Great heat speader too. It's RAM with LEDs on it - what's not to like!? 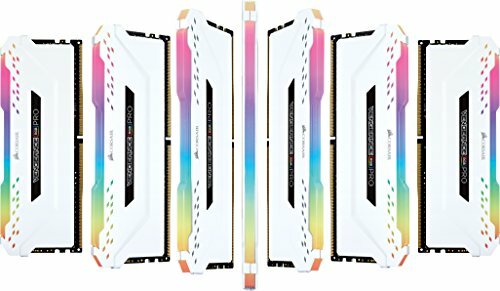 Wouldn't have bought this if it wasn't on sale but for almost the same (inflated) price of normal RAM I thought I might as well. Lighting is controlled by iCUE though the packaging says it is also compatible with Gigabyte RGB Fusion as well as MSI Mystic Light Sync. Only complaint is that the RGBs can only be controlled with iCUE. 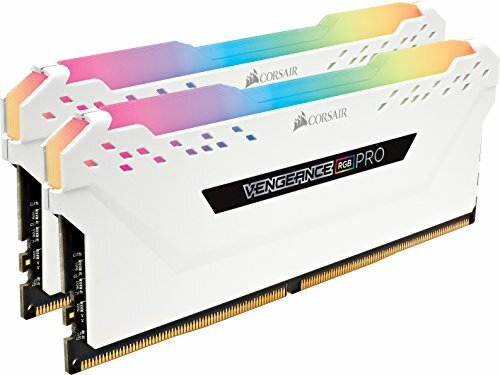 I was initially wanting to go for G.SKILL rams but the new Corsair Vengeance PRO lineup looked really awesome which made me change my mind. I love the RGB patterns and also the white color lighting is really white and not the blueish kind of tint on some. I also have a K70 keyboard and Lighting Node Pro RGB strips so I was kind of locked into the ecosystem of the desktop software to customize my RGB lighting. Great looking memory sticks, no complaints.